Husberg is out of the German cow Burgl. 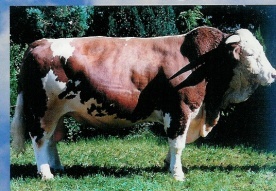 He is a thick bull who carries a German meat index of 120. He should also do well at correcting udders.